Unlike our forefathers, no one from the present generation has tasted the bitterness of conventional human slavery, thanks to improved education, social integration and international agreements. As people are advancing with time, the old police states were replaced by city states across the globe, leading to present day urbanization. Urbanization took place rapidly in and around capital cities due to the fact that those cities were controlling the decision making power over the resources of the whole country. Irrespective of the location of the resources across the country, the waves of nationalization brought all resources under the control of the political elites in the capital. It was particularly true for small states like the Maldives where capital Male alone is the sole decision maker. The profit motive of the capitalists and the landlords of the capital city are the major powers of any government established in Male. Their #power over the state #authorities have systematically established administrative and bureaucratic mechanisms for the control of the islanders in socio-economic and political grounds. The socio-economic and political control have deprived the islanders from their decision making power on the utilization of their resources. It is the capital Male that decides everything. Human beings are greedy by nature. It is particularly true for those in the capital Male with both Authority and Power. 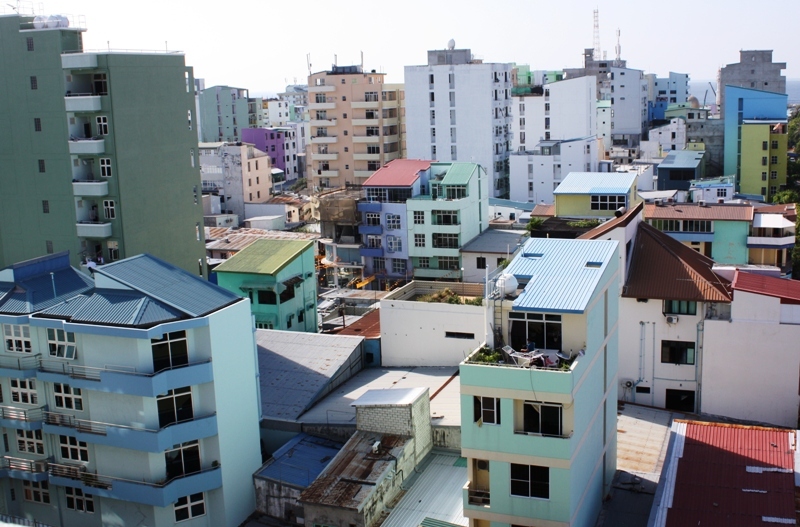 As a result, the low income residents of the capital Male together with most of the non-Male residents are enslaved. The political elites and the landlords call it business. We call it Modern Slavery. Raise your voice against it. Eliminating modern slavery is a collective responsibility.